Kelly Manufacturing Company is the manufacturer of the R.C. Allen line of instruments. KMC is the largest manufacturer of general aviation aircraft instruments in the world and has two manufacturing plants. One is situated in the downtown area of Wichita, Kansas, and the second is located in Grenola, Kansas. Both plants also operate FAA licensed repair stations. R.C. Allen Inc. was founded by Ralph C. Allen (1884-1967) in 1932, in Grand Rapids, Michigan. Later, it became known as R.C. Allen Business Machines Inc. and was one of the leading manufacturers of business machines. Thousands of old R.C. Allen cash registers, adding machines, and typewriters can still be found across the country today. At the onset of World War II, the need for a large quantity of aircraft propelled R.C. Allen Business Machines into the aviation world. R.C. Allen had the facilities to manufacture the delicate instruments needed for the war effort. Thousands of R.C. Allen Turn and Bank instruments were installed on war-bound aircraft to help win the war for the Allied Forces. After the war, R.C. Allen continued as a major government contractor, and manufactured instruments for the Korean War. Thousands of Rate Gyro Transmitters were made for military jets during this period. During peacetime, the company developed sub-miniature gyros for Saturn rockets, and at one time, twenty of the special gyros were in orbit at the same time. By 1972, R.C. Allen was the largest manufacturer of aircraft instruments for general aviation in the world. In 1977, R.C. Allen Business Machines Inc. was sold off and the instrument division was moved to the AIR CAPITAL OF THE WORLD, Wichita, Kansas. Under new ownership, it became the R.C. Allen Division of Aircraft Instrument and Development (AID). 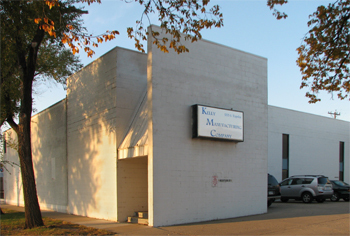 The Kelly Manufacturing Company purchased the company in 1996, becoming the new manufacturer of the R.C. Allen line of flight instruments. Today, the R.C. Allen brand still retains its position as aviation’s most trusted line of aircraft instruments worldwide. KMC manufactures a wide range of quality instruments for a variety of military and general aviation aircraft. With the introduction of the new RCA 2600 Series Digital Horizon and the new Emergency Standby Power (ESP) battery backup, KMC stays on the cutting edge of aviation technology and safety. Our product line spans over 60 years of excellence.